Does Paypal come with the free form or do you have to upgrade in order to have this? You can also have Payment submissions like from Paypal forms even with the Starter plan. Although this is limited up to 10 payment submissions only per Month. 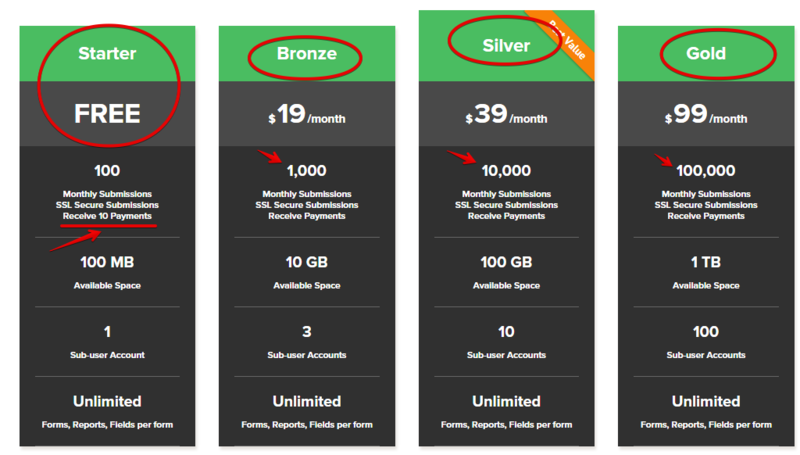 Unlike the upgraded paid plans, which have more per month.